Death Cab For Cutie frontman Ben Gibbard is the latest artist to contribute to Turntable Kitchen’s album cover series Sounds Delicious. 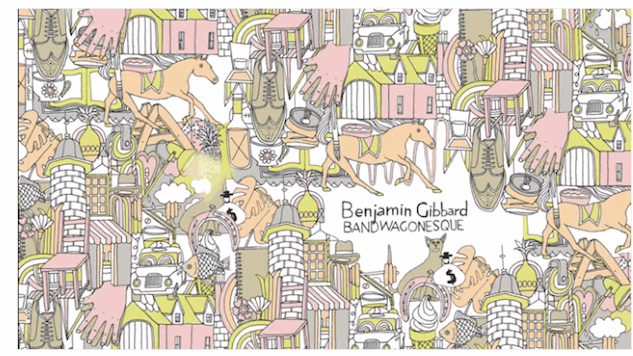 Gibbard is set to release a full-length cover of Teenage Fanclub’s formative 1991 album, Bandwagonesque.You can now listen to Gibbard’s cover of the record’s seminal track “The Concept” below. If you aren’t familiar with Turntable Kitchen, it’s a Seattle-based website and label with the motto “good food and music go hand-in-hand.” The company has three monthly vinyl subscriptions that all feature exclusive, limited-edition releases: the Pairings Box, Coffee & Vinyl Pairings and Sounds Delicious. The whole cover album, produced and performed by Gibbard, is out July 28 digitally through Canvasback Music/Turntable Kitchen and will receive a limited-edition release on vinyl as part of the Sounds Delicious monthly subscription, as well. Gibbard does the song justice—though his take is a bit longer than the original and a bit more somber— as his eight-minute cover stays true to the song’s jangly-pop melodies while his warm approach, which we’ve come to expect from the Death Cab/Postal Service frontman, allows the song a more melancholic and sharp sound. Bandwagonesque is my favorite record by my favorite band of all time. It came along at a pivotal time in my musical life and I’ve loved it for over 25 years. It’s been such a blast taking these songs apart to see how they work and then putting them back together again. Listen to Ben Gibbard’s cover of “The Concept” below, as well as a Death Cab For Cutie performance from the Paste Cloud.